Db2 Event Store, now part of IBM Hybrid Data Management Platform. 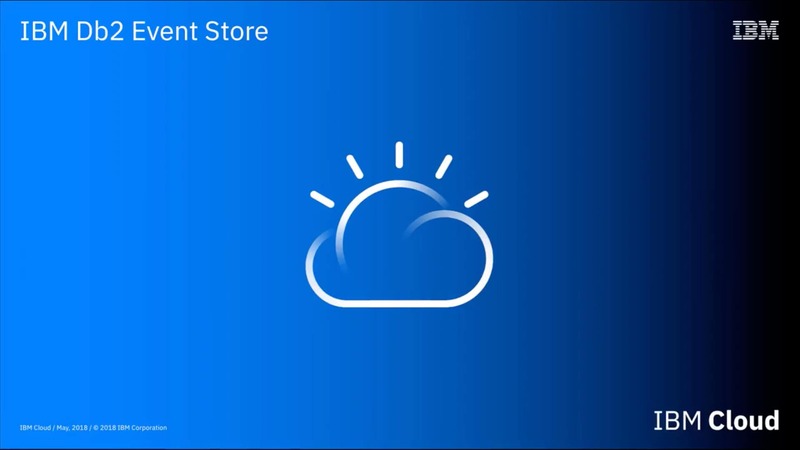 IBM Db2® Event Store is an in-memory database designed to rapidly ingest and analyze streamed data in event-driven applications. The Lightbend Fast Data Platform and Db2 Event Store enable a new era of event-driven business insight and opportunity, while reducing complexity. IBM and Lightbend joint solutions provide a complete toolchain for Java™ and Scala developers to easily build and deploy AI and cognitive applications in both on-premises and cloud environments.